What Type of Soldering Iron Do I Need? If you're in the market for a soldering iron, there are a few different positions you might find yourself in. If you're an old hand at these tools, maybe you already have a favorite brand and design out there that you buy every time you need a replacement. It's also possible that you're slightly newer to this scene and are testing out a few different options. Maybe you aren't quite sure what different brands and models have to offer. Whichever camp you find yourself in, there's value in knowing the full width and breadth of options available to you. If you're testing the waters and just feeling your way, it's worth trying a few different ones until you find one that you like. And even if you think you've already discovered the only model you'll ever really want, we'd like to challenge you to test your limits by exploring the other options that are out there. Who knows? Maybe you'll find a soldering iron you like even better than the ones you've been using. 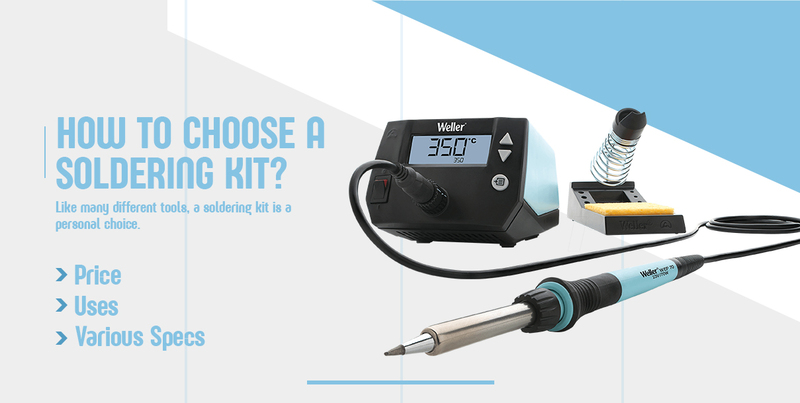 To help you explore the different models out there, we've put together a guide for how to choose a soldering iron. We'll look at some of the specific options available to you while also taking a serious look at what criteria you should be considering when it comes to what type of soldering iron you should get. How to Choose a Soldering Kit? Like many different tools, a soldering kit is a personal choice. Everyone is going to be using their soldering iron for a slightly different purpose, and everyone will have different criteria that they want their soldering iron to meet. Because of this, it's not as simple as merely pointing out the "best"; soldering iron. Instead, you'll want to look at your needs, your setting and your intended application and ask yourself what is right for you. As you ask yourself these questions and begin your hunt for the correct soldering iron, here are a few different criteria to keep in mind. Of course, cost will always be a factor. No matter what your budget is, the simple fact is that everyone has a budget they're working out of, and everyone has a price limit they can't go above. In some ways, this makes your choice easy. You'll be able to rule out any irons that fall far above your price limit, just as you'll likely be able to rule out irons that fall far below your budget. Rather than simply setting an arbitrary price limit, however, it's a good idea to first take a look around at some of the different types of soldering irons for sale. See what's out there, and begin to get a feel for some of the typical prices. Then, decide where your budget falls, and see which models you can quickly rule out on either end of your budget. Different soldering irons have different strengths, weaknesses and capabilities. If you're looking for the best soldering iron for circuit boards, for example, you wouldn't want to choose an iron that's better suited to automotive work. One of the best methods for choosing a soldering iron, then, is to first ask yourself what you're going to be using the soldering iron for. Is it going to be in a professional setting or an educational one? Are you going to be working with circuit boards? Stained glass? Automotive parts? All three, on different occasions? The way you answer this question will play a significant role in determining which soldering iron is best for you. Once you know what you're going to be using it for, your job will then be to examine each potential soldering iron regarding its intended use. Ideally, you'll find one that is meant for your industry and intended work. Another option, however, is to choose a more generic model that can easily handle a variety of different applications. This is an excellent choice particularly if you frequently solder many kinds of items. Depending on what kind of work you're going to be doing, you'll need a soldering iron with different capabilities and specifications. Many different specs might be important to you. Maybe you know you need a soldering iron or soldering station that reaches a specific temperature. Maybe you need it to be compatible with a tool that you already own. Maybe you have a specific application you need to solder, or you have regulations or requirements to meet. Maybe it needs to be small enough to fit into a tight workspace. Try making a list of all the things you need your soldering iron to feature. You might even make a secondary list of things that you don't need, but that you would really appreciate. Then, keep this list handy as you shop different soldering stations and irons. This way, you can easily disregard any irons that don't have all the features you can't compromise on. With a better idea of things to look for, let's take a closer look at a few sample soldering irons and kits, as well as what makes them unique. 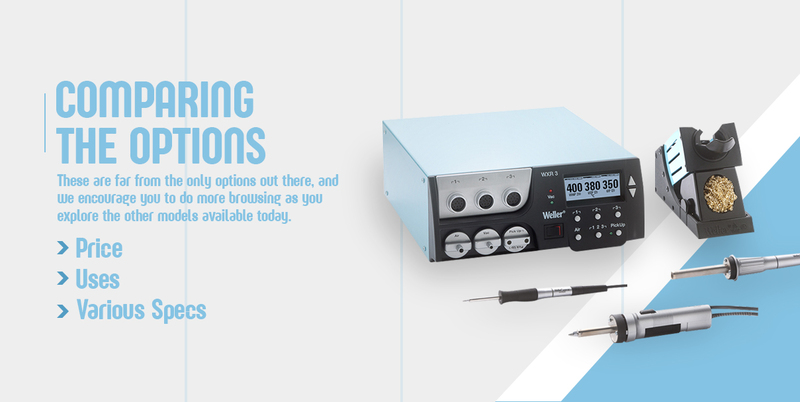 For an easy, convenient and highly versatile tool for many situations, consider the Weller WE 1010 soldering station. This station comes equipped with the WEP70 soldering iron, an excellent tool for a variety of different purposes, and one suitable for professional, prosumer and educational settings alike. Because this iron is so versatile and can accommodate so many situations, it is the only tool available for this station. Fast Heat-up and Recovery Time: Your time is precious. That's why it's important to use a soldering iron that heats up quickly so that you can do the work you need to do when you need to do it. Then, when you're finished, the recovery time is quick and convenient as well. Intuitive Navigation: Nobody likes a machine that feels like a chore to navigate. With the WE 1010, that won't be a problem. A handy menu button and easy selection keys make the navigation both intuitive and easy. Digital LCD Screen: With this bright and clear screen, it's easier than ever to view your level readouts and monitor your progress. Power Switch Location: The power switch on this model is exactly where you want it - on the front and in plain, easy reaching distance, making it a breeze to switch on and off whenever you need. Greater Power: You need a powerful tool that can get the job done when it counts. This machine packs 70 watts of power, letting you get the task done quickly and efficiently. Easy Tip Change: This model is designed for toolless tip changes, meaning you can easily disassemble the iron, change the tip and reassemble it all on your own, with minimal hassle. Reinforced Safety Rest: The handy design of this safety rest allows for extra stability when you need to set the soldering iron down for a moment, meaning that you can rest easy knowing that it won't fall to the ground or cause any damage to your tabletop. 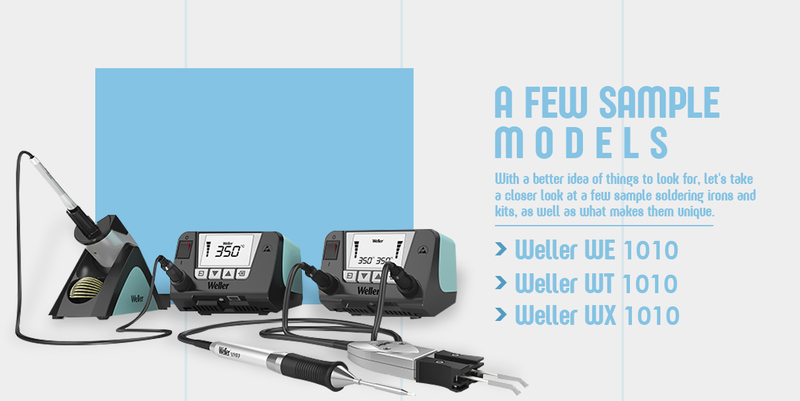 The WT Line is Weller's mid-range soldering station, and it comes with 12 compatible tools to choose from. The WT 1010 and the entire WT line of products all pack some serious power, meaning these are great tools to help you get the job done. They're extremely flexible, making them suitable for a wide array of different applications. One of this soldering iron's greatest strengths comes from the small and compact nature that lets it fit neatly onto any workbench or table top. Best of all, this particular soldering station is compatible with all tools in the entire WD and WSD families, making it versatile and usable in multiple applications. WTP 90 Hybrid Soldering Iron: The high-performance 90 W hybrid soldering iron is a combination between a Micropencil, meaning it offers the highest performance with the best heat transfer, and a passive tip pencil with very good heat transfer while also controlling costs. It comes equipped with a motion sensor in the iron, allowing it to automatically enter standby mode when not in use. Changeable Heating Element: On the soldering iron itself, the heating element is easily changed and replaced, instead of requiring a long and laborious process to access. Replaceable Soldering Tip: Changing your soldering iron tip is a critical part of maintaining your iron. With this model, we've made this an easy and convenient process that can be done independently of dismantling the rest of the iron. Adjustable Background Illumination: No matter what the lighting or working conditions, you'll always be able to clearly view the information on the screen and monitor your work. This screen also displays all necessary functions in a simple and easy-to-read display. Front-Mounted Tool Connection: This soldering station places the tool mount conveniently right in the front, allowing for easiest access and simplest means of use. This means you can spend more time working and less time tangling cords and reaching for inaccessible connections. Simple Menu Access: No one likes a machine that is complicated and difficult to navigate. That's why the simple menu button allows you to quickly access the machine's different functions. Front-Mounted Main Switch: Like the front-mounted tool connection, this main switch is prominently located on the front of the machine, letting you access it in the most convenient way possible. Reversible Safety Rest: With so much versatility and flexibility throughout the rest of the soldering station, it's important to extend this to all applicable accessories. That's why this safety rest is entirely reversible and features both wet and dry cleaning for your convenience. WX Line is Weller's performance line, and the WX 1010 boasts 15 compatible tools, a motion sensor, micro tools with ultra-precise performance and extremely accurate tip temperature. Retraceable process reliability, otherwise known as traceability, is extremely important in particular sectors of industry such as automotive and electronics. If this is a goal that's important to you and your work, you might be interested in the WX 1010. Traceable Capacities: In many areas of industry, the ability to perform in a traceable capacity is becoming increasingly important. The WX 1010 delivers this ability. High Levels of Compatibility: When you purchase the WX 1010, you're getting a machine that's compatible with every soldering tool in the WX line, giving you a higher degree of flexibility, and allowing you to use more than simply the pencil that comes with this set. Use as Benchtop Controller: Integrated USB ports allow WX stations to connect to and control pre-heat plates, fume extractors and programmable logic controllers. Any tools connected will feed their parameters and status back to the display. Intelligent Tools / Integrated Parameter Memory: You can easily store different parameters in the soldering iron, including standby temperatures and automatic switch-off time. You only need to program parameters once. The soldering iron "remembers" them and can use them with any WX station. The stations automatically detect all tools and show their names in the display. Large LCD Display: It's essential that you're able to clearly see all the necessary data and readings on the screen. That's why this model has a large LCD that's simple, clear and easy-to-read. Intuitive Controls: The WX 1010 features an incredibly intuitive set of controls that react in just the way you would expect them to. From the turn-and-click wheel to the enter key and finger guide, these controls are extremely easy to operate. These are far from the only options out there, and we encourage you to do more browsing as you explore the other models available today. Between these three models here, however, we can get a good idea of some of the major different types of models you'll find for sale. So let's look at how these three models stack up against one another. You'll find that the WE 1010 is by far the most inexpensive option of the three. Priced at $139, this is a highly affordable option that can fit into almost any budget. The WT 1010 is slightly more expensive, coming in at $521 for a more middle-of-the-road price. Finally, you'll find that the WX 1010 is priced at $678, making it the highest priced item on this list. Compare these prices against the budget you created earlier, and see where you stand. 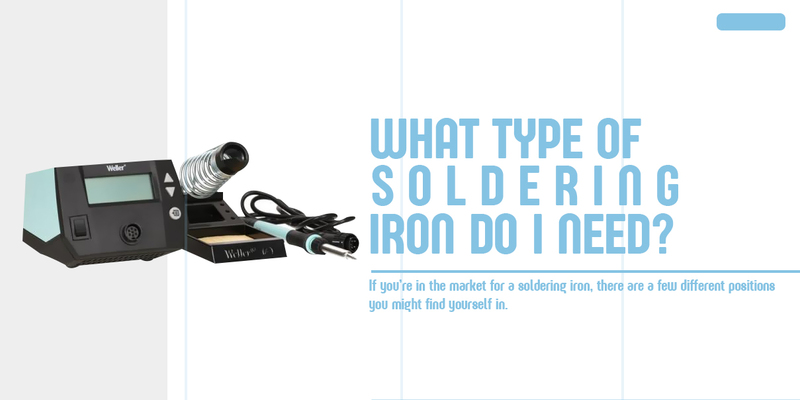 Wondering what type of soldering iron you should use for electronics? Not sure how to choose a soldering iron for stained glass, cords or automotive parts? Look at the intended uses of each of these three models. The WE 1010 is a very versatile model that can perform a lot of great work without having one specific area that it specializes in, whether you're a professional, prosumer or educator. The WT 1010 has a handy ability to perform micro-soldering tasks, making it convenient in areas that larger tools might not be able to accommodate. Finally, the traceable abilities of the WX 1010 make it ideal for both the electronics and automotive industries. While all three of these soldering irons have the same basic capabilities, you'll find that each brings a unique set of features to the table. For example, the WE 1010 allows you to change the soldering tip without the use of additional tools. The WT 1010 offers a 90-watt hybrid pencil. The WX 1010 boasts compatibility across the WX line. Decide which features mean the most to you and move forward from there. 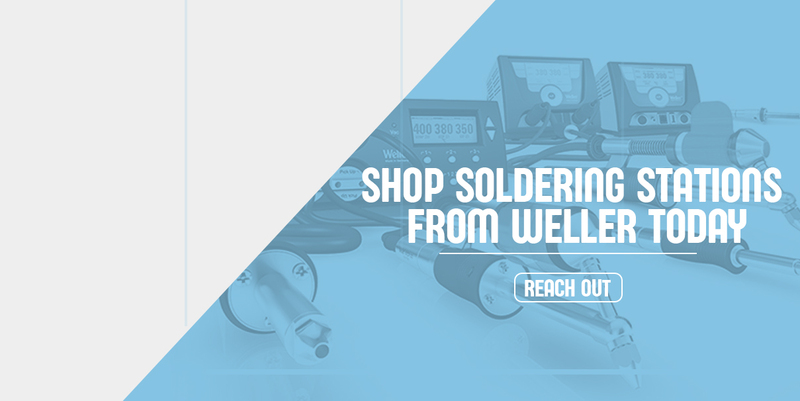 Here at Weller, we're proud to offer the tools and irons you need to get your soldering jobs done easily and cost-efficiently. Whether that means buying a new soldering iron today or simply learning more about soldering irons and how to choose one, we want to be your partner as you seek to gain more knowledge in this area. In addition to the models highlighted here, we also sell a vast array of other soldering irons and relevant accessories for use across many different industries. Browse our full selection of soldering irons today and don't hesitate to reach out with any additional questions you may have.